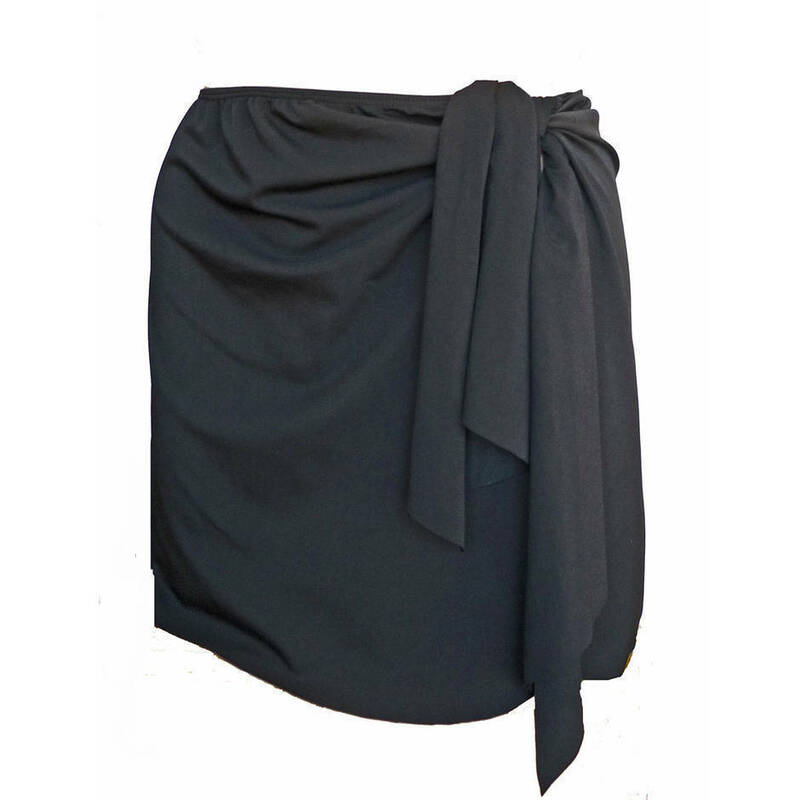 Description: Wrap skirt made from swimwear fabric. Can be worn over a swimsuit for swimming or worn as a cover up with the benefit of quick dry fabric. 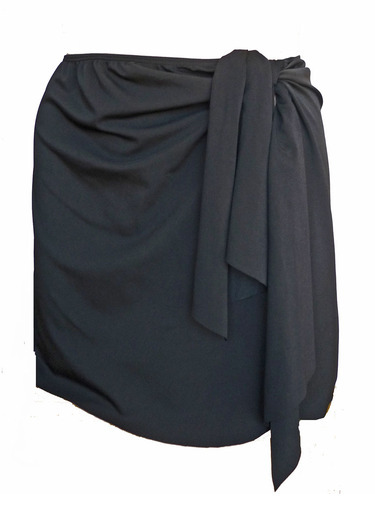 The front and back pleats create a drape to disguise the tummy and hips. The long ties create a slimming effect.